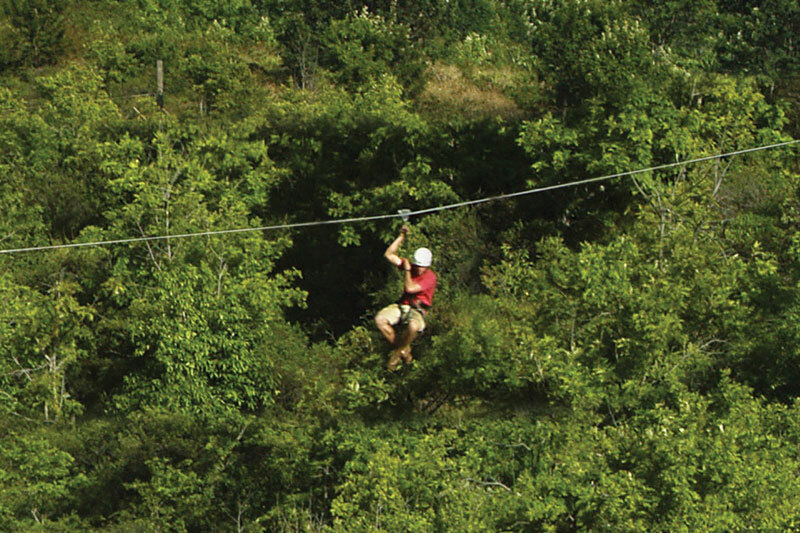 You will soar through the exotic treetop canopy on the longest side-by-side ziplines in Maui! This one of the great experiences on Maui. The location is an 800-acre, historical and working, cattle ranch. You will move side-by-side along an exhilarating and stimulating zip-line course while enjoying the stunning views of Haleakala Crater. You will be at an altitude of about 2,000 feet near the edge of a rainforest. The location encompasses rolling hills, lush grasslands, rocky ravines and beautiful forest. It will afford you dazzling island views from the North Shore and Haleakala to tropical beaches of Kihei and the mountains of West Maui. If you opt for the 4-line tour, you will enjoy a thrilling experience as you zip over the gulches, trees, and lush ranch land on Haleakala’s slopes. As you go side-by-side on this breathtaking dual-line adventure, you will zip four distinct lines that range from about 420 feet to more than 1,000 feet in length, with a starting altitude of 42 feet you will soar to nearly 200 feet above ground level! Make sure you take the time to take in all the spectacular ocean and mountain views! 5-LINE SIDE-BY-SIDE ZIP (3 hours) +$66We also offer a premium 5-line tour that will leave you smiling for days! You will ascend 1420 feet above our ranch, and zip down at an incredible speed to reach the foothill of the beautiful Piiholo Hill. The ranch vehicle at the base will transport you to the hill’s peak so you can enjoy the lovely views of Maui. 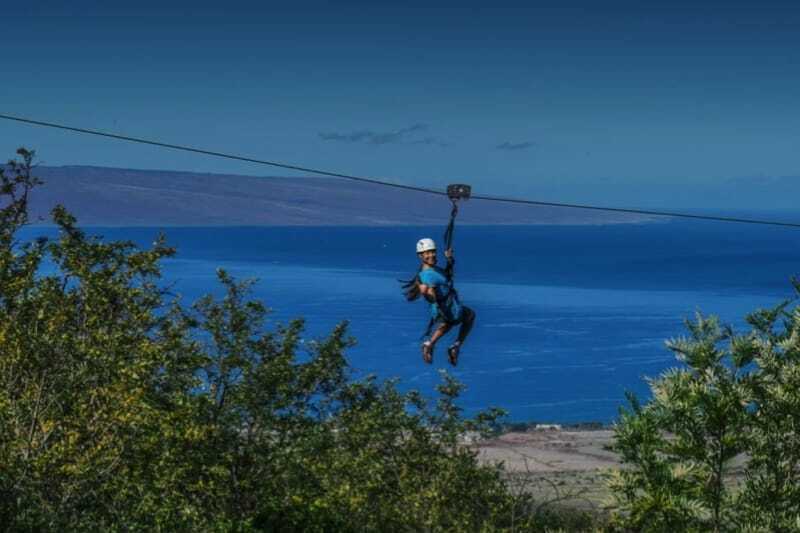 The last zip ride is a thrilling grand finale as it is the longest zipline in Maui, over 600 feet in altitude and half a mile in length! You will not have to hike long distances as adventures are quite close to check-in and parking areas, and all tours end near the starting point. People from the age of 8 to 98 can take part. Mandatory check in is 45 minutes before the start of your tour. For a full 100% refund we ask that you give us at least 48 hours notice for a cancellation or change to your reservation. No refund for cancellations or reschedules within the last 48 hours prior to your tour. No-shows will be charged 100% fee. If you need to cancel due to illness or medical emergency, we will require a doctor's note from a local Maui doctor/clinic in order to process a full refund. All our tours operate RAIN OR SHINE. We do not refund for inclement weather, however, we do provide rain jackets when needed. We will cancel tours in the event of lightning or thunder; we will reschedule your tour or refund up to 100% of the tour price if this occurs. Refund amount may be based on proportion of tour completed. In high winds or other adverse conditions, we reserve the right to cancel or reschedule tours, based on management's assessment of conditions. We will reschedule your tour or refund up to 100% of the tour price if this occurs. Refund amount may be based on proportion of tour completed. 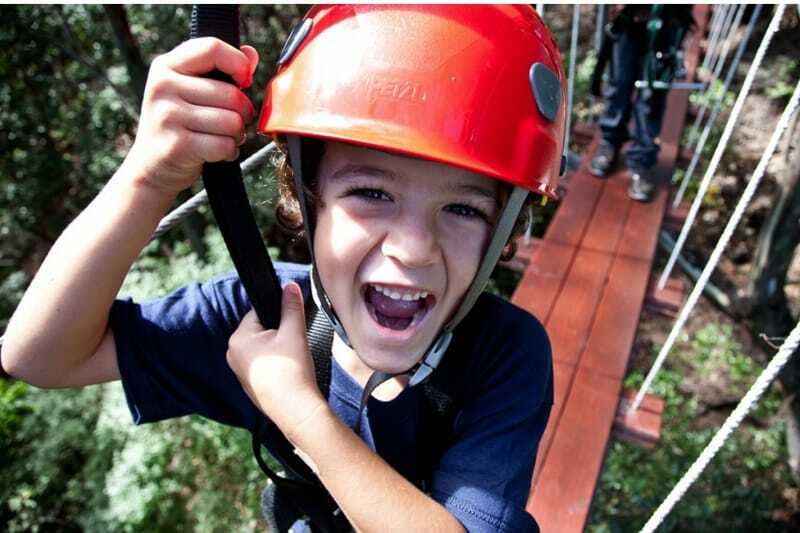 Minimum age of 8 years old for Zipline and Treetop Zipline Tours. Minimum age of 6 years old for Hiking Tours. There is no maximum age limit as long as you can physically handle all aspects of the tours. Guests between 16 and 17 years old must have a parent or guardian present at check-in and sign waiver to participate. All guests must be capable of moderate to advanced physical activity, carry a 12 pound trolley, grip handlebars, walk over uneven/muddy terrain, as well as ascend stairs and ramps. Please no guests with neck, back, shoulder, knee, ankle injuries, heart conditions, or recent surgeries. Pregnant women are not allowed to zipline. Guests must be physically and mentally capable of following instructions given by Piiholo Ranch Zipline staff. There is no smoking, alcohol, or drug use allowed on the premises. Any guest judged by our staff to be unwilling and/or incapable of following instructions, or to cause or potentially cause a safety issue due to intoxication, drug use or any other reason, will be removed from the premises and no refund shall be given. Closed-toe shoes are required. Please no Croc-style, walking sandals with open toes, Vibram FiveFingers, water shoes, or flip-flops. We recommend to dress comfortably for variable outdoor weather (such as pants or longer shorts) and to bring a hat, sunscreen, and a light cover-up. Don't forget your camera! Make sure it has a strap for safety. Anything dropped on tour is gone for good. Don't bring purses, backpacks, or large fanny packs; they won't fit with your harness and we have no place to store such items. We do provide a storage box for your keys. What can I do while my family/friend is on a tour? We offer a walk-along tour that accompanies the 4 Line and 5 Line Zip Tours. The walk-along tour covers less than a half-mile over gently rolling, unpaved terrain, and puts you ground-side as the zippers fly by overhead. It offers great photo opportunities as well as time to relax and enjoy the views among the tall trees! All guests on tour enjoy a break together with light snacks and beverages at our Tree House. While we do not, at this time, offer a walk-along tour on the Treetop Zipline course, you are welcome to sit and enjoy some quiet-time at the picnic tables of the treetop launch area, or take a hike at the nearby Makawao Forest Reserve (ask the guides for directions.) The nearby small town of Makawao offers a variety of galleries, stores and restaurants to keep you entertained for hours. If you have kids under the age of 8, there is unfortunately little to do at the zipline except sit at a picnic table. There are horseback lessons at nearby Piiholo Ranch (minimum age is 3) or a nice park about 4-1/2 miles away, it's officially called the 4th Marine Division Memorial Park. It has a large grassy field and picnic tables. I would recommend this zip line over any others! the crew was entertaining and very friendly. the views while zip lining are AMAZING! especially the last one on the 5 line. 2900 feet in the air and a 1/2 mile long!? AND you get to ride side by side with your guest :) great job guys! mahalo! Not having done a side-by-side Zipline before this was first for me and my granddaughter. Great fun with experienced and safety oriented staff. Our guide Nick and his crew were focused on safety first in a fun and enjoyable way. Nick could take his comedy to a nightclub! Select a different tour time to see more available dates. Age, weight, and health restrictions. Please read and agree below. 4-line available at 2pm only. Includes an over 1400 ft zip and the longest in the state at over 2800 ft!